Why are so many Americans moving to Florida? Florida domicile expert and author of The Florida Domicile Handbook: Vital Information for New Florida Residents, 4th Edition E. Michael Kilbourn says it’s because the Sunshine State doesn’t burden its residents with mountains of confiscatory taxes. In the fourth edition of this popular book, published by Brendan Kelly Publishing (January 2018), Kilbourn and co-authors Brad Galbraith, CPA, Esq., and Joshua D. Rudnick, Esq., discuss the steps and activity new residents can take to prove Florida domicile intent and build a strong case in anticipation of possibly being pursued for taxes by their former state of residence. Updated for 2018, the book includes new information for seasonal visitors and Florida businesses, new resources for homebuyers and students, updated laws on firearm ownerships and driving, and fresh retirement planning strategies for the newly domiciled. The 275+-page guide also includes updated Florida demographics, geographic points of interest, web resources and sample forms. After contributing or authoring several books on financial planning including Giving—Philanthropy for Everyone (Quantum Press 2002) and 21st Century Wealth: Essential Financial Planning Principles (Quantum Press 2000), Kilbourn published the first edition of The Florida Domicile Handbook in 2009. A second and longer edition followed in 2011, then a new third in 2014. The fourth edition is the most comprehensive to date. Essentially, the book is a treasure trove of facts and information on how to live comfortably and thrive financially in the great sunshine state. The book is available at www.brendankellypublishing.com, www.floridadomicilehandbook.com, www.Amazon.com, and will be available through major booksellers across the country in the coming months. Mr. Kilbourn is the president of Kilbourn Associates and has over 40 years of experience in the financial services industry. Mr. Kilbourn is an experienced author, former college instructor, and a leading national authority on estate tax matters.  Co-authors Brad A. Galbraith of Galbraith, PLLC and Joshua D. Rudnick of Woods, Weidenmillier, Michetti and Rudnick. Mr. Galbraith is board certified in Wills, Trusts and Estates by the Florida Bar Association and was named a Florida Super Lawyer. Mr. Rudnick’s practice is concentrated on commercial and residential real property transactions, construction, corporate and commercial lending. 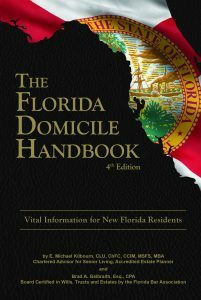 The Florida Domicile Handbook, 4th Edition is $19.95 + tax and shipping. Discover more at www.floridadomicilehandbook.com.